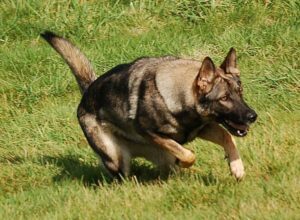 Grace is a petite, yet strongly built female that we have imported from the Czech Republic and is sister to Robin one of our males. 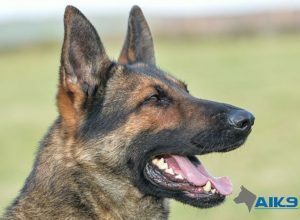 With bloodlines harking back to the original working lines of the former communist era, she is exactly what we would expect her to be: tough, obedient and very protective. Grace is also great fun and an incredibly easy dog to have around, very sociable, happy and willing to please. 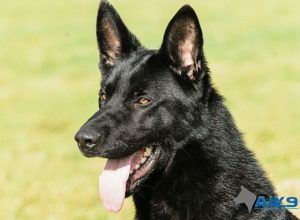 Aesthetically, one could only describe Grace as beautiful, with her glossy long dark sable coat and warm expression, she often appears to be smiling. We are sure she will continue to put many smiles on the faces of her new owners in her role as combined protector, companion and much-loved pet! 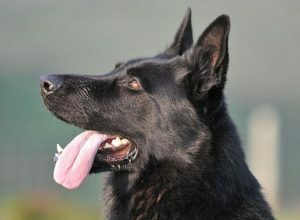 In the case of Grace, her many attributes, looks, power, personality and with a long family history of protecting her loved ones coupled with our own very special mix of training has resulted in her surpassing the standard set to pass out as an A1K9 Executive level personal protection dog with flying colours.